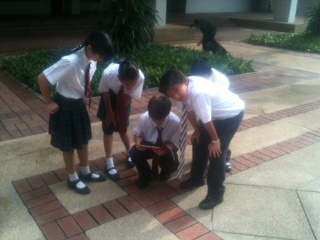 Yr 7 classes have been learning about Latitude and Longitude with the use of GPS apps on the ipads. The app, called Motion X GPS, enables students to find their exact location (configured within google maps), add waypoints and photos. Want learn about the Hjulstrom Curve? geography shb published Want learn about the Hjulstrom Curve? geography shb published Why has it been raining all day?